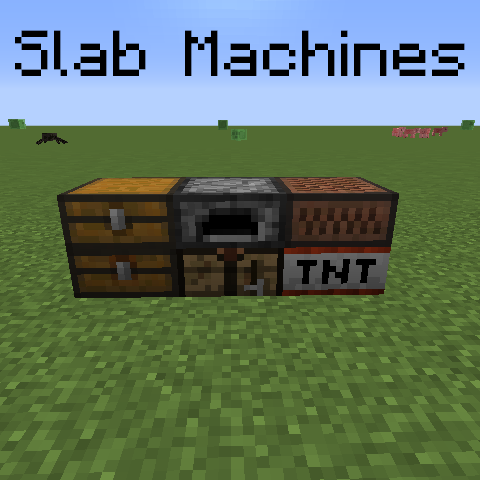 This mod is all about adding slab variants of vanilla (but also modded) machines. This mod is based upon Crafting Slabs. This mod is very useful! Can I add this mod in a modpack, please? Sure, as long as you don't host the mod elsewhere. Support for Quark's alternate wood-type chests would be amazing, if you could? I like this mod, but i would like in the chest have a full stach of 64 or more idk, it's just that right know it is 32 that is max idk, but damn is there a way to change it or? Try renaming the tnt slab to "Etho slab" and look what happens. Also, a slab hopper would be useful. Honestly I don't know. I've not tested the mod with Quark. Perhaps add a slab jukebox.